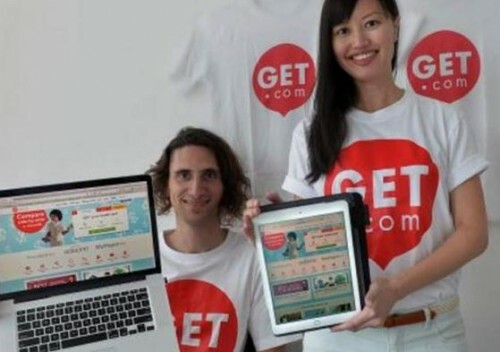 SINGAPORE - Personal finance-comparison startup GET.com Pte Ltd, looking to expand its business in Singapore and beyond, announced its plans for the future and launched its new all-in-one credit card deal app on Tuesday. GET.com, its Singapore-based website, enables consumers to compare a range of financial products to get the best offers. Started in the United States in 2011, GET.com launched its comparison website in Singapore just five months ago. It features more than 1,000 personal financial products from leading financial institutions and merchants, and automatically updates information on more than 130 credit cards in Singapore. GET.com announced on Tuesday that it is working on adding personal loans, insurance products and home loans features on its website, in partnership with several banks here. These features, already available on its US website, will enable consumers to look for loan rates, compare savings accounts and get insurance quotes. GET.com is also considering setting up a business model that caters especially to financial organisations, which would allow banks to access data on consumer preferences and demographics. "We haven't actually put together something for the banks, but that's definitely something we're looking into." GET.com is also looking into expanding into other markets, although they have yet to fix on a particular one. The company is looking to take advantage of Singapore's mobile-centric society with its all-in-one credit card deal mobile application, GETdeals. The app features more than 2,300 credit card deals from the major Singapore banks, spanning areas such as entertainment, shopping and travel. The app, aimed at Singaporeans' love for convenience, automatically displays up-to-date card offers based on proximity to the user. GETdeals, which can be downloaded for free from the Apple App Store and Google Play for iPhones and Android phones respectively, could come in especially handy for credit consumers, who own an average of six credit cards each. The app will not provide a direct source of revenue for GET.com; instead, the company generates its income mainly from the comparison website. It earns a fee from the bank when consumers sign up for a credit card or financial product through its website. Grace Cheng, GET.com's co-founder and editor-in-chief, said: "The creation of GETdeals app is one tool which demonstrates our commitment to leverage technology to provide value to consumers. "We recognise the huge market potential in the digital banking space, particularly given the high mobile traffic in Singapore. "There is still a lot of room to grow in terms of banks offering better user experience in the mobile space, and we look forward to working with them to identify ways that can help them reach out more effectively to consumers in the digital banking space."